What a crazy time it’s been this past month and a half! 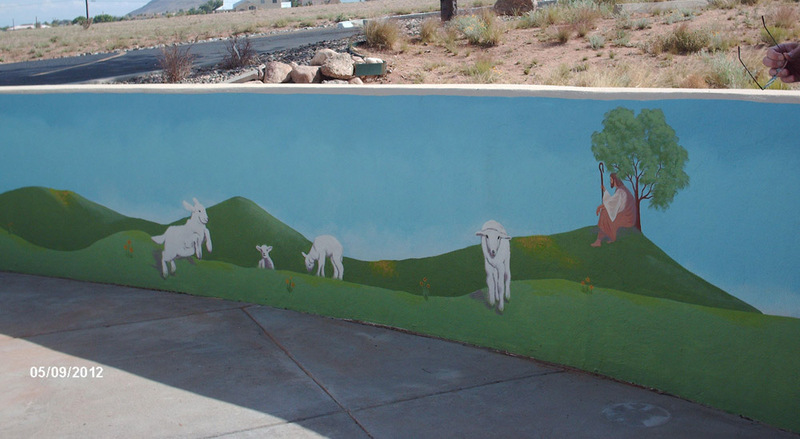 The mural is long done, the dedication ceremony was last Wednesday. I have a few photos to share, which I am just now finally getting around to! The week after I finished the mural it was time to jump into our 1st annual “ChromaFEST” weekend, which happened the first weekend in May. The same weekend, my youngest son found his first apartment and moved out. YAY! It took us a week to recover our house and rearrange furniture in the extra space he left us. Of course, he left a mess for us to clean up, but we were so excited about our nest finally being empty, that we didn’t mind cleaning up after him this one last time. 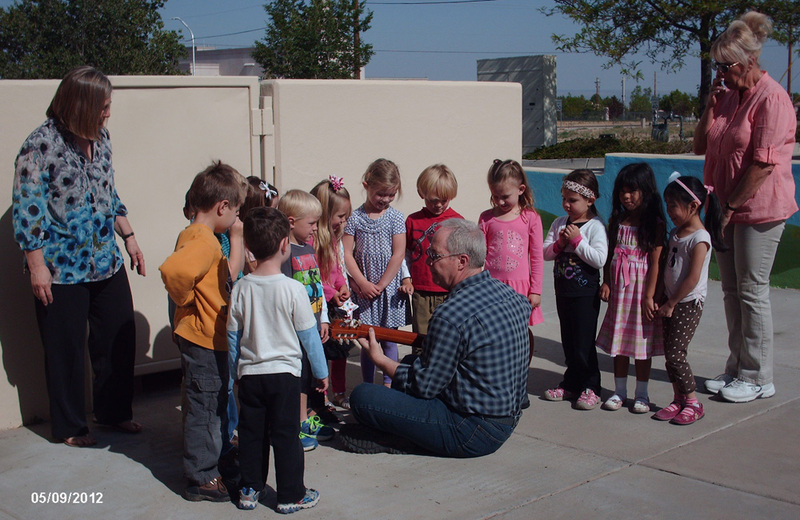 The preschool kids sang “Jesus Loves Me” for the mural dedication ceremony. It was so CUTE! Now that the house is CLEAN and actually has stayed clean, it’s time for me to get busy in my studio again. I am itching to get back to my easel, it’s been WAY too long since I’ve painted. 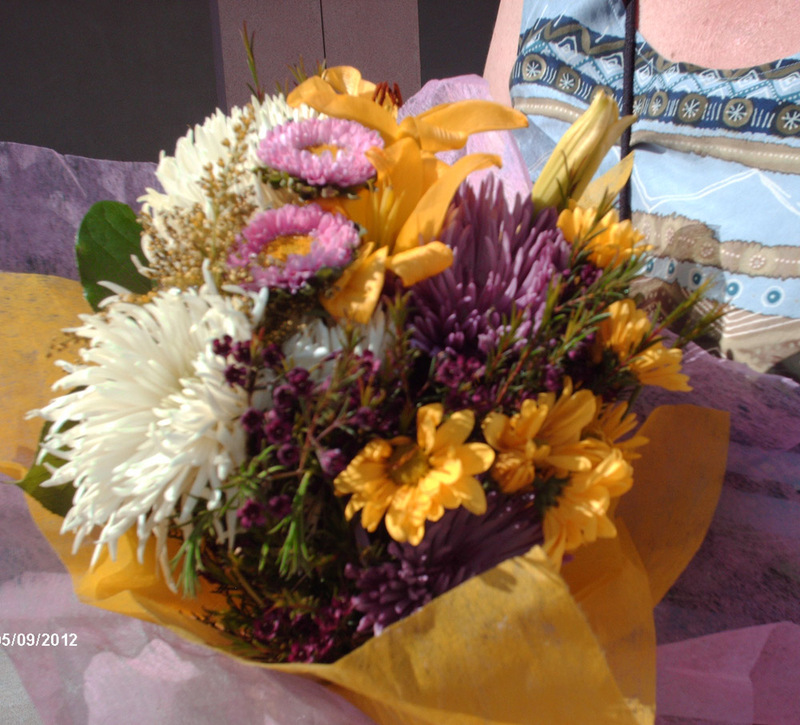 Flowers given to me by the preschool kids, so sweet! 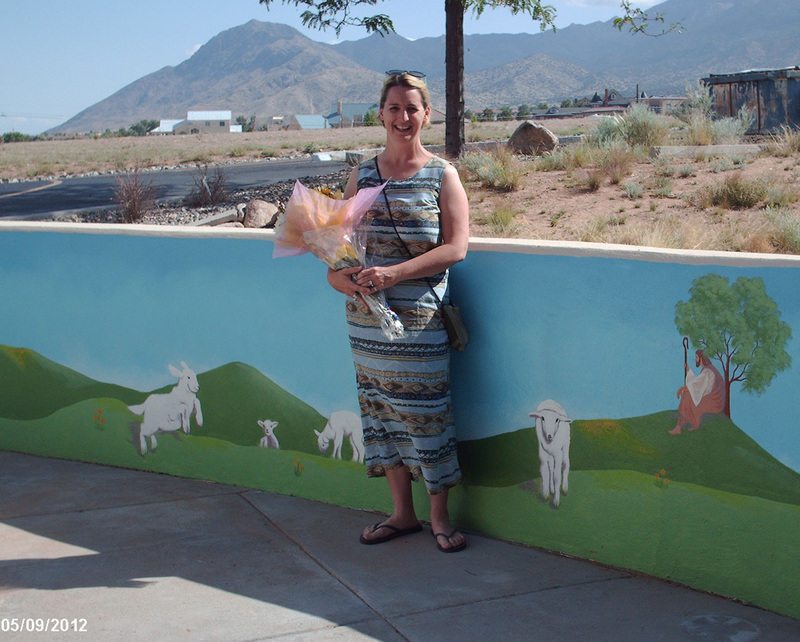 One last photo, me standing in front of the mural. Now that I’m back to my regular schedule, I am getting back to my weekly auctions. After thinking about it for a while, I’ve decided to raise my starting bid to $20. Still a really great deal for an original painting! I have sold off most of my older paintings now, so from now on, the weekly auction will be a newer piece. “Anticipation”, 8 x 8″ oil on canvas board, $20 starting bid. 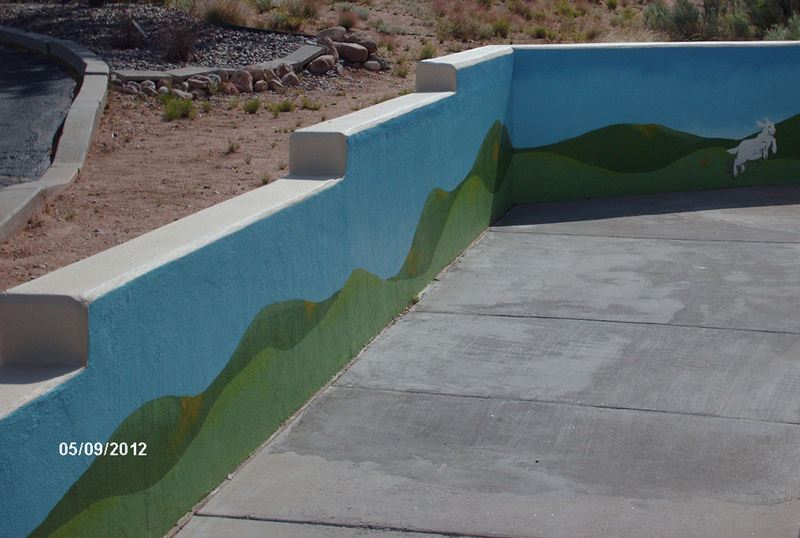 This entry was posted in 2012, accomplishments, albuquerque, art, auction, chroma, flowers, inspiration, kids, mural, mural project, New Mexico, new work, original, painting, photos, progress, Uncategorized and tagged art for sale, community, creativity, mural dedication, mural project complete, New Mexico artist, preschool mural, weekly auction. Bookmark the permalink.